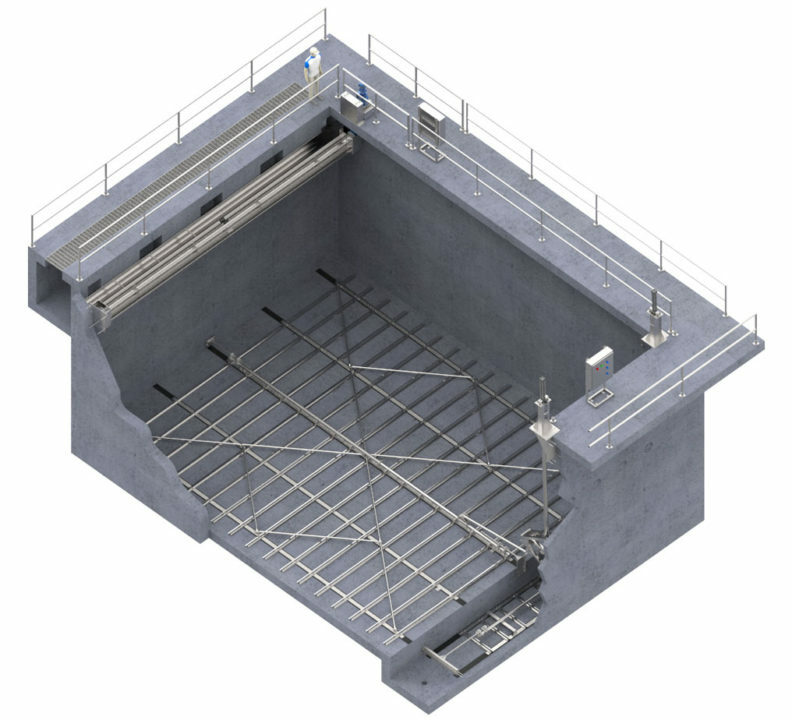 The Delta-SKIMMER (Paddle Wheel Skimming System) is another solution for removing floating scum in water and wastewater treatment plants and industrial applications, generally used in Dissolved Air Flotation applications. The JMS Paddle Wheel Skimmer comes complete with stainless steel blade supports attached to a single reel drum, Nitrile rubber blades, stainless steel beach and a stainless steel collection trough. Each skimmer has multiple blades, each with a minimum width of 4”. The blades scrape the surface scum up the beach and into a collection trough. Drive chains for the unit are typically type 304 stainless steel riding on a drive sprocket of machined cast iron with UHMW-PE teeth. The driven sprockets consist of a split machined cast iron sprocket hub with segmental UHMW – PE teeth machined to accurately engage the drive chain.